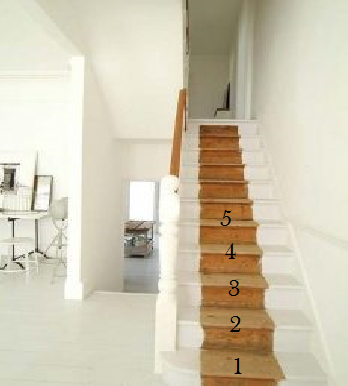 How to get your staircase preparation right first time. Whether you do it yourself or pay someone else. Here’s how to save time,save money and be kind to your environment! Top tip! Start at the bottom of the stairs . Carpet fitted on griper rod is made to release easily from the bottom up. It should just ease off, revealing the gripper and underlay underneath. Some people use the old carpet to line shelves or sheds. 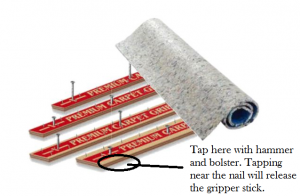 Gripper rod is removed by taping it with a hammer and bolster at the point the nail meets the stairs.Underlay is removed by carefully pealing it off. 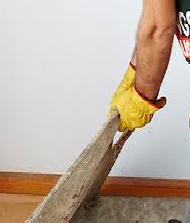 To prepare your gripper and underlay for reuse ; cut to 10 cm less than your stair runner width . Example : If your star runner is 65 cm wide cut underlay and gripper to 55 cm wide. 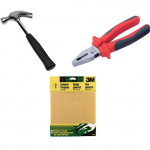 Cut underlay with a Stanley knife. 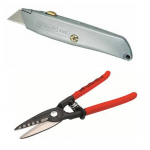 Cut gripper with snips. Just proceed to our shop page or email us your order. 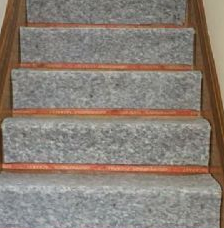 The price of our Eco friendly underlay and gripper pack is 45 pounds.Delivery is free with your stair runner. c. Sand with an 80 grade sandpaper ,then a finer sandpaper.